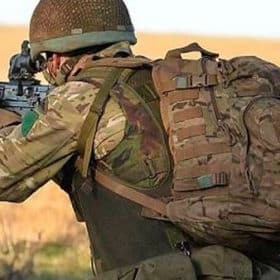 The Royal Marines are a formidable fighting unit who have a reputation for a fearless attitude and an unrivalled success in combat missions. 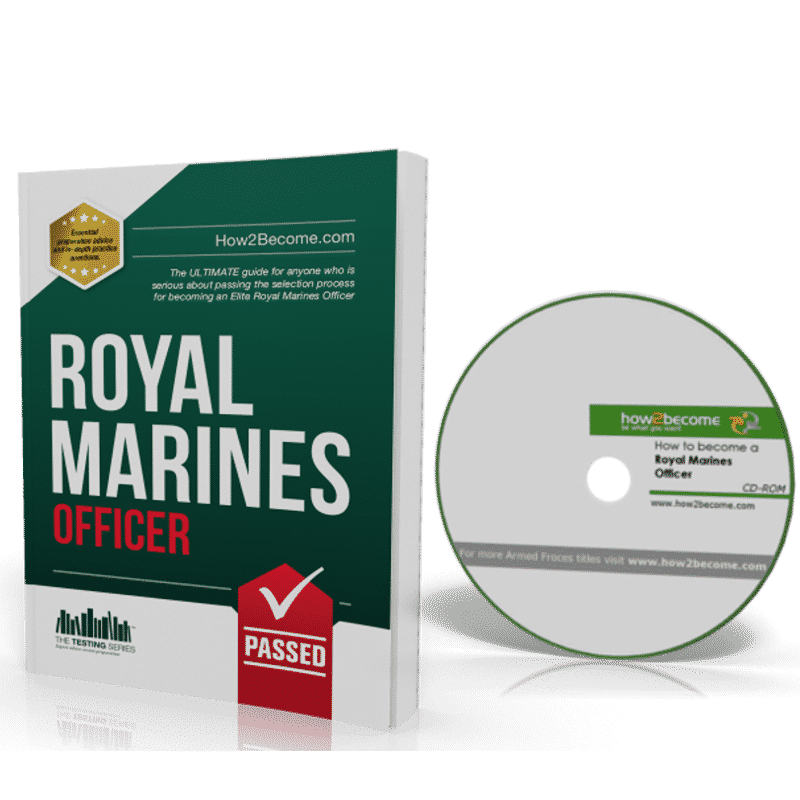 If you want to know how to become a Royal Marines Officer then this 400+ page CD ROM guide and 150-page workbook are packed full of insider tips and advice to help you pass both the Potential Officer’s Course and the Admiralty Interview Board. 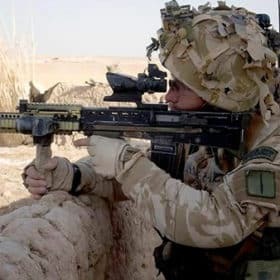 To begin with applicants will need to contact their local Armed Forces Careers Ofﬁce and explain that they wish tbo apply to become an Ofﬁcer with the Royal Marines. The Royal Marines form part of the Royal Navy so it is highly likely that your ﬁrst port of call will be with the RN careers advisor. The most effective way to do this is to go along to your nearest centre for a brief chat. You will be supplied with an information pack and details on how to apply, providing you meet the minimum eligibility requirements. You will eventually be invited to attend what is called a ‘ﬁlter’ interview. This interview is designed to assess whether or not you have the right qualities to become a Royal Marines Ofﬁcer. 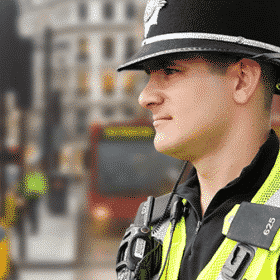 If you successfully pass the ﬁlter interview, which is usually held at the Armed Forces Careers Ofﬁce, you will be recommended to attend the Potential Ofﬁcers Course (POC). If you pass the POC then you will go to the Admiralty Interview Board (AIB). The ﬁlter interview is, in our opinion, relatively easy to pass. However, you will still need to put in plenty of preparation if you are to succeed. 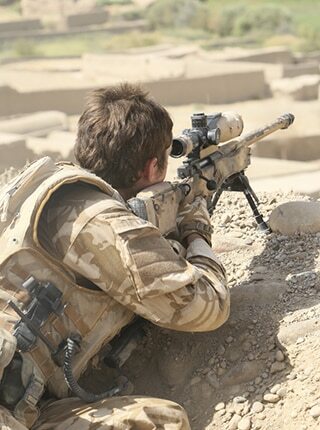 The POC is designed to see whether you are likely to meet the challenge of being a Royal Marines Ofﬁcer. As the title suggests, it is a test of your potential so you must prepare fully and give it your all if you are to have any chance of succeeding. It is an immensely gruelling test of your physical ﬁtness, and above all the Royal Marines are looking at your determination and commitment. In addition to the above you must also demonstrate leadership potential, intelligence, how you communicate and whether you can keep a sense of humour even when you are absolutely exhausted. The POC also gives you the opportunity to ﬁnd out more about the Royal Marines. 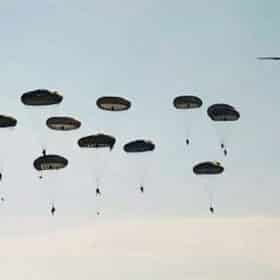 Many candidates ﬁnd out during the POC that it simply isn’t for them and decide not to carry on with selection. It is also a unique chance to learn a lot about yourself and your strengths and weaknesses. The POC takes place at the Commando Training Centre Royal Marines (CTCRM), Lympstone, Devon. The base is situated on the banks of the Exe estuary, 8 miles south-east of Exeter. Courses run approximately twice a month throughout the year increasing in frequency between March and July. The POC lasts for 52 hours spread over 3 days from 0900 Monday to lunchtime Wednesday. 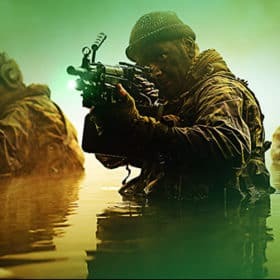 Our comprehensive insider’s guide and workbook is all the information you need to help you pass the tough Royal Marines officer selection process including POC and AIB interview questions, psychometric test sample questions and essential insider information on how to pass every stage of the selection process. Top 10 Insider Tips and advice that will help you to succeed. How to pass the psychometric tests that form part of the AIB. Speed, Distance and Time (SDT) test questions. Verbal reasoning and numerical reasoning tests. Mechanical comprehension and spatial tests. The history of the Royal Marines. How to prepare for the Potential Officers Course and the Admiralty Interview Board interviews. Sample interview question responses that are guaranteed to improve your scores. Actual Royal Marines Officer interview questions. Insider tips on how to score high in the interview. Insider tips from those who’ve passed. How to conduct yourself at the POC. Preparing effectively to pass first time. What to expect during the POC. How to demonstrate the right qualities at the POC. Leadership tasks and how to pass. Leadership practice and planning exercise skills. Passing the final interview at the AIB. Within the 40-page ‘How To Get RM Officer Fit’ information guide we have supplied you with essential tips and advice on how to prepare for, and pass the Royal Marines Officer POC. The guide itself is based around proven fitness training strategies used by the elite Special Boat Service. Some of the exercises are extremely intense but they are guaranteed to drastically raise your fitness levels in preparation for the Royal Marines Potential Officers Course. Within the ‘How To Get RM Officer Fit’ guide there are exercises for everyone and you don’t have to attend a gym to follow it. Please note – The ‘How To Get RM Officer Fit’ guide is contained within the ‘How To Become A Royal Marines Officer’ CD Rom. FOR A LIMITED PERIOD ONLY we are able to give you our awesome 150-page ‘Interview Skills’ guide free of charge when you order ‘How 2 Become A Royal Marines Officer’ CD Rom. This guide has been written by a former serving member of the armed forces with over 17 years experience of successfully passing interviews. It is the perfect guide to help you prepare for the tough RM Officer interview! The guide will be sent to you via email within a few seconds of your order being placed. 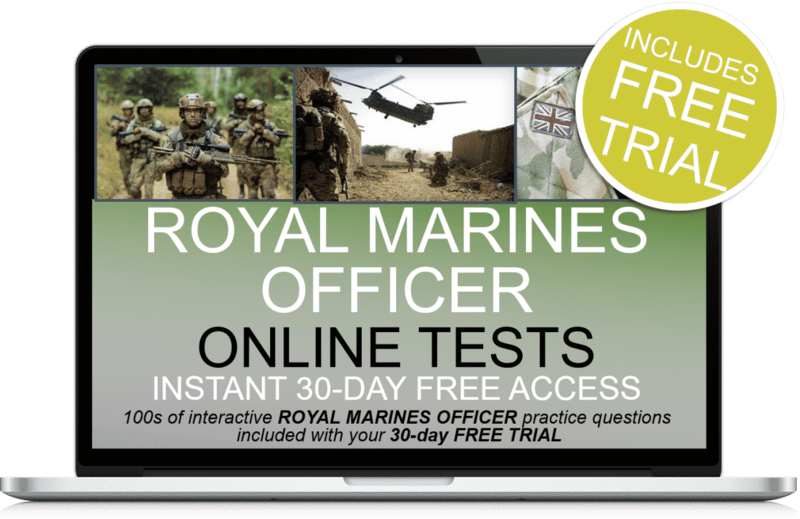 Plus 30-days FREE ACCESS to the RM officer online testing suite. Thereafter, just £5.95 +vat per month. No minimum term. You may cancel anytime. Cancel before the 30-days are up and you will not be charged. 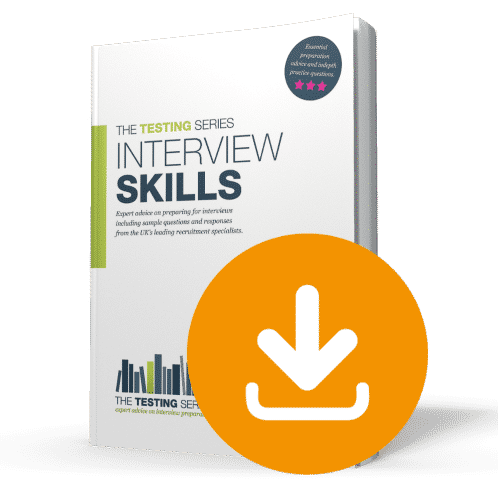 The 150-page ‘Interview Skills’ book.